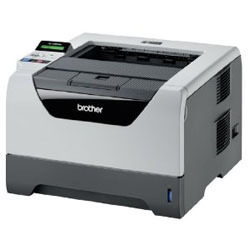 Trusted Reviews has tested a mono laser printer from Brother called Brother HL-5380DN. Brother claims that this model is able to print up to 30 pages per minute so if you are looking for a fast printer this could be the one for you. Let us hear what the reviewer thinks about the HL-5380DN. Trusted Reviews ends up giving the HL-5380DN an overall score of 8 out of 10 possible points. The laser printer scores highest on print speeds, almost as high on value for your money and features, while it scores lowest on print quality. The reviewer finds several positive points with the Brother printer including useful duplex printing, good LCD display and fast print speeds. On the negative side there are a few aspects such as noisy printing and the prints tend to be light. Overall this is a good mono laser printer if you are looking for fast print speeds and relatively low price tag. Read the full review of the Brother HL-5380DN mono laser printer here.